There are some evenings when we all wish our Moms were in the kitchen cooking a meal that would make us feel better. We are too old to be fretting over a bad test grade or nasty remark from someone on the playground but being grown up doesn't mean we don't need comfort when we return home. Fortunately, it is really easy to prepare a dinner yourself that will calm you down, soothe away your stress and turn down that chatter in your brain about what went wrong with your day. Comfort dinners work because if they have the right components, your brain will make the calming , feel-good chemical, serotonin as soon as the food is digested. And that means that by the time you put the dishes in the dishwasher, the troubles of the day will be forgotten. 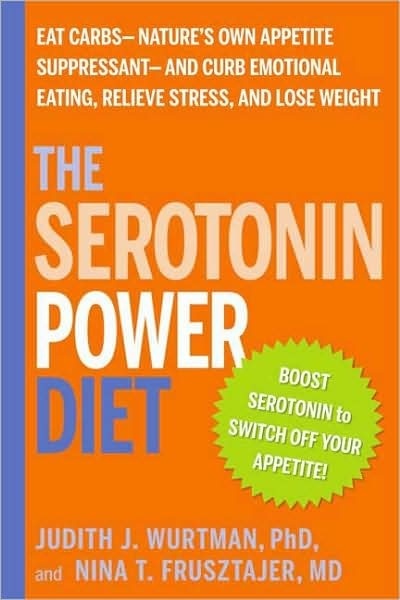 Serotonin is made when you eat any sweet or starchy carbohydrate (except the carbs in fruit). Carbohydrates set in motion a process that brings an amino acid called tryptophan into the brain. When tryptophan arrives, it is immediately converted to serotonin. And serotonin immediately makes you feel better. Keep the protein portion of the dinner to a minimum. No more than 1-2 ounces. This is because protein interferes with tryptophan getting into the brain. Keep the fat portion of the dinner to a minimum. No more than two tablespoons of olive oil, butter, high fat cheese or cream. This is because fat slows down digestion and will make you wait too long to feel comforted. Here are some easy to prepare, tasty and comforting dinner recipes. Enjoy! This is a simple and delicious dish made with a mushroom sauté. The pasta and mushrooms take about the same time to cook, so the dish should be ready 12 minutes after the water boils for the pasta. Place drained pasta back into the pot. Set aside. Coat a large skillet with cooking spray, add the oil, and warm over medium-high heat. Sauté the garlic, mushrooms, and ground beef or turkey for 5 minutes or until the mushrooms are soft. Add the pepper, sugar, and Italian seasoning or basil and continue cooking for 2 to 3 minutes, stirring several times. Add the mushroom mixture and tomato sauce to the pasta and heat until warm. Put in a large bowl and sprinkle with the cheese. Serve with Lemon Garlic Spinach. You can make this recipe with Italian pasta, or use fresh noodles from a Chinese grocery store. Put the cooked noodles in a large bowl and set aside. In a large saucepan coated with cooking spray, heat the sesame oil over low heat. Add the ginger and garlic and cook for 3 minutes. Add the teriyaki sauce and ¼ cup of the chicken broth and cook over medium heat for 5 minutes. In a small bowl, mix the remaining ¼ cup of the chicken broth with the cornstarch until the cornstarch dissolves. Add the cornstarch mixture to the teriyaki mixture and simmer for 3 minutes, until the sauce thickens. Add the mushrooms, water chestnuts, snow peas or asparagus, and tofu or chicken to the sauce and cook until heated, about 3 minutes. Toss the cooked, drained noodles with the sauce. Serve with chopped romaine or iceberg lettuce topped with the dressing of your choice. If you make this dish ahead of time, microwave it to heat it through before serving. In a large skillet, heat the oil over low-medium heat. Add the onion, cumin, cinnamon, and curry powder and cook for 3 to 4 minutes until the onion is soft. Add the zucchini and cook until tender, about 4 minutes. Add the chicken, couscous, and chickpeas and heat through. Toss the raisins into the mixture just before serving. Season with pepper to taste. Serve with a mixed green salad topped with Spanish Dressing. The above is an adapted excerpt from the book The Serotonin Power Diet: Eat Carbs -- Nature's Own Appetite Suppressant -- to Stop Emotional Overeating and Halt Antidepressant-Associated Weight Gain by Judith J. Wurtman, PhD and Nina T. Frusztajer, MD. The above excerpt is a digitally scanned reproduction of text from print. Although this excerpt has been proofread, occasional errors may appear due to the scanning process. Please refer to the finished book for accuracy.